Just your standard Parmigiano-Reggiano bar. After two years of delays and double the amount of money sunk into it, Eataly says the doors (er, gates?) 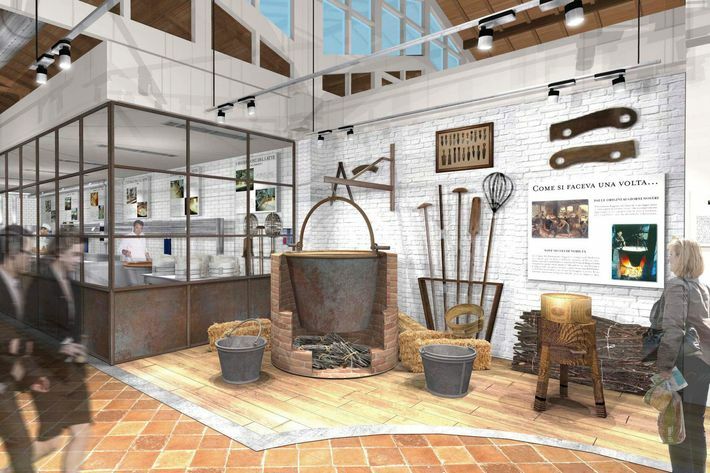 to its “Disneyland of food” will finally open in Bologna in September 2017. 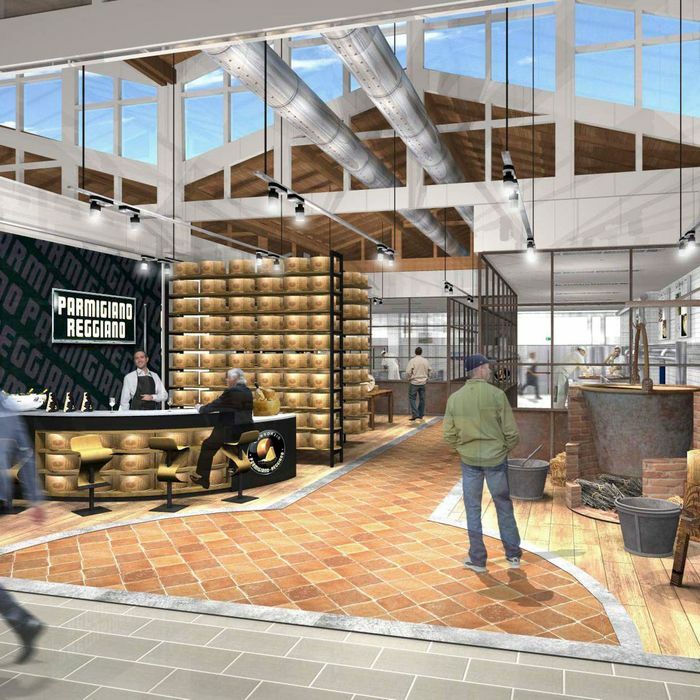 Bloomberg gives readers a peek today at some of the attractions this Italian-specialty-food amusement park, officially known as FICO Eataly World, will offer. 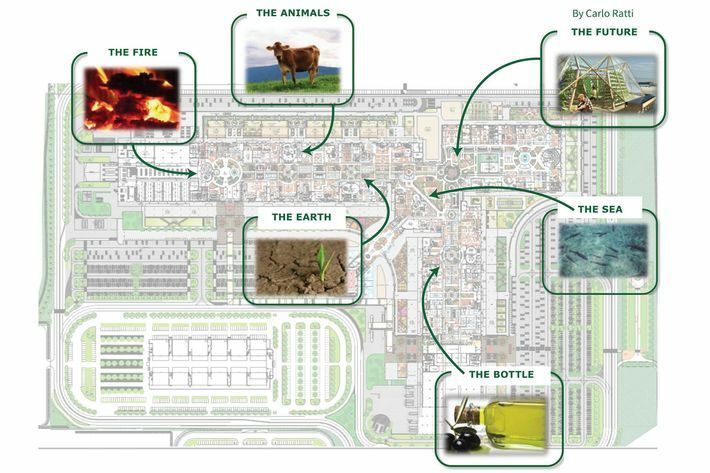 All told, the premises will boast workshops, actual livestock, about 100,000 square feet of markets, 25 different restaurants, and three bars. The company estimates 6 million tourists will descend upon the 20 acres annually, which is more than SeaWorld Orlando got last year. 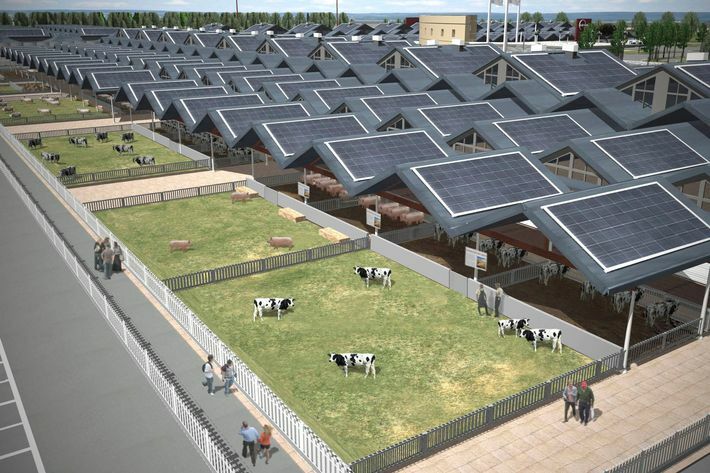 • 44,000 solar panels, which sets the record for most on a single property in Europe. • 500 Bianchi tricycles equipped with shopping baskets. • Two and a half acres of orchards and farmland where people can see at least 30 kinds of produce being grown, including olives, eggplants, and hazelnuts. Ambling around will also be nine kinds of cows plus five types of pigs, goats, sheep, rabbits, geese, and guinea hens. • A 200-room hotel, expected to open in 2018. • Six “rides” that Bloomberg re-dubs more of “enhanced virtual reality experiences.” They have names like “Man & the Bottle” (something designed in collaboration with MIT) and “Man & Fire,” a “multi-part experience” that makes you feel like you’re in a fire, demonstrates the importance of fire, then “tests” you. A map of the full 20 acres.